An East African “dust devil” (small tornado) seems to be an accurate representation of the goings-on at TCC this month. A veritable vortex of activity has swirled around us in every area. While our new RN, Jo Jo Elliot, is away in language school, many sick people have continued to visit TCC. 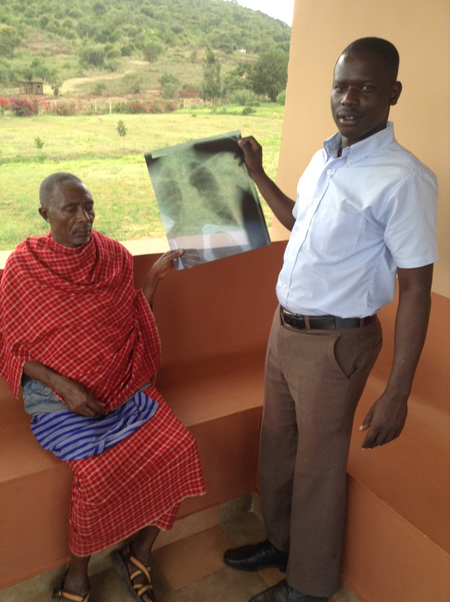 Besides the usual typhoid, TB, HIV, and malaria patients, we had a 14 year-old w/ meningitis, and an elderly patient w/ dysphagia (difficulty in swallowing); thanks to our new X-ray tech, Magesa Mokiri, who is funded by New Harvest Church (CA), and thanks to the newly installed X-Ray equipment donated by doctors at Cross Point Church (AL), we were able to do a barium swallow on that patient and diagnose her with stricture. But the patient of the month is a lady who presented w/ a severely macerated ear after her husband’s other wife bit off and chewed a chunk of that appendage! Guys, God surely knew what He was doing when He said have only 1 wife! Besides caring for patients, we continue w/ evangelistic Bible studies in Monduli, Monduli Juu, and at Ole Sokoine Secondary School. 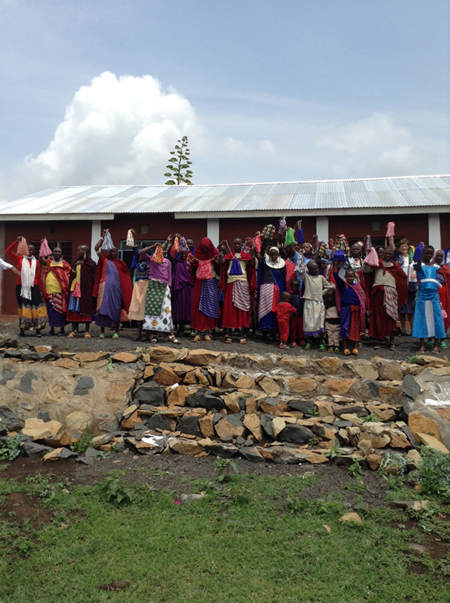 Also, a Ladies Outreach Day for Christians and non-Christians was held at the new Monduli Juu Church building. Thanks to the Dorcas Ministry women at Sylvan Hills Church (AR), brightly colored cloth bags stuffed w/ small gifts were given to each of the 57 seminar attendees. “Treasure in your sacks”(Genesis 43:23) was the theme of the women’s seminar. Attendees show their gift bags that had some spiritual treasures inside. Also, thanks to Jo Jo Elliot and family for contributing gift items. In addition to Bible teaching, a health session was included in the seminar to assist the women in caring for their families and hopefully prevent malnutrition and diarrheal diseases so often seen in Africa. Other evidences of God’s work can been seen in the ground-breaking for a Labor and Delivery addition to TCC, and in regards to the building site for the future Christian secondary school in Monduli. Thanks to all of you who continue to pray, fund-raise, and give! Special appreciation goes out to the Retirees and all of Cross Point Church (AL) for providing windows for the Monduli Juu church building (to keep out the heavy rains) and for raising money for the L and D clinic addition. 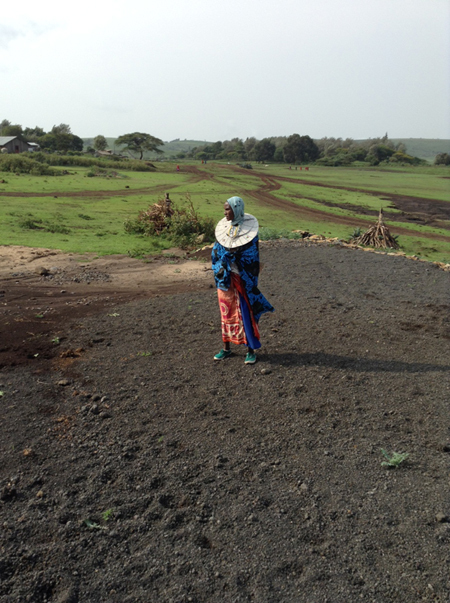 Regarding land for the school, the TZ government offered to donate a prime piece of property, but there were numerous conditions attached. Since buying the land outright seemed better to us, the government now is offering to sell it for half the market value. Thus, this 11-acre plot, situated on the main road entering Monduli, (w/ electrical and water hook-ups nearby) will cost about $33,000. Teaching Christianity along with a strong science curriculum to secondary (high school) students on that property seems a great way to win people for Jesus, raise future leaders for the church, and improve the education and health care status in Tanzania. Lastly, some of you have asked why we want to go to a far-away country to do this kind of work. Dr. David Livingstone, great 1800’s explorer and medical missionary to Africa, was asked the same question. Though we in no way compare to him, we love his answer: “Jesus said in John 10: 16, ‘I have other sheep that are not of this sheep pen (outside the developed world); they too will listen to My voice, and there will be one flock and one Shepherd.’ ” Let’s all work together to bring news of that Shepherd to those sheep!